Good thing i love about this board is that it doesn`t have any user writeable memory on board so it is impossible to "brick" it. Operating system which is RPi running is stored on SD card and it can not boot from any other media (USB dongle, TFTP...). At first you have to download Raspbian image from official RPi site here. Once you have downloaded image, you can unpack it (in Windows - right click > extract all). 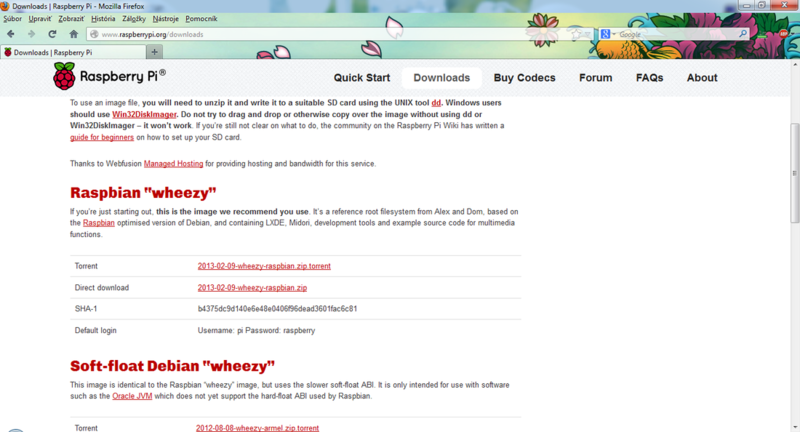 Now you should have one file named "*-wheezy-raspbian.img". To write image to SD card you will also need Win32 Disk Imager which you can download here. After download, extract the archive (in Windows - right click > extract all). 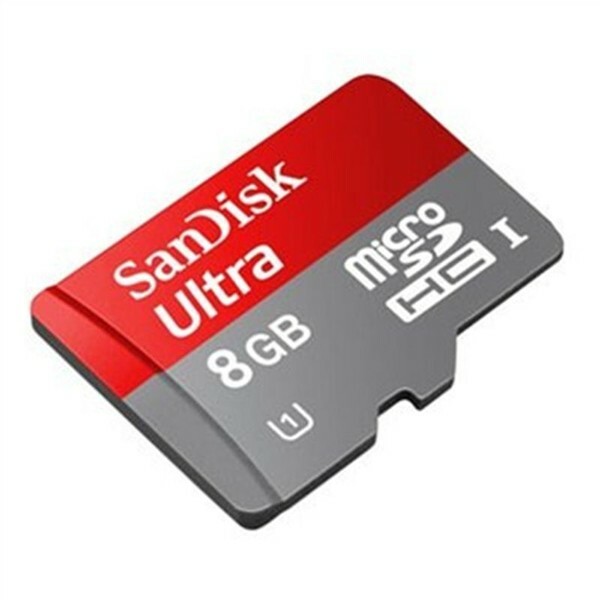 Now you need some SD card with capacity at least 2GB (you can also use microSD card with adapter). Open Win32 Disk Imager, click on folder icon and select the image file (*-wheezy-raspbian.img) in Raspbian folder. 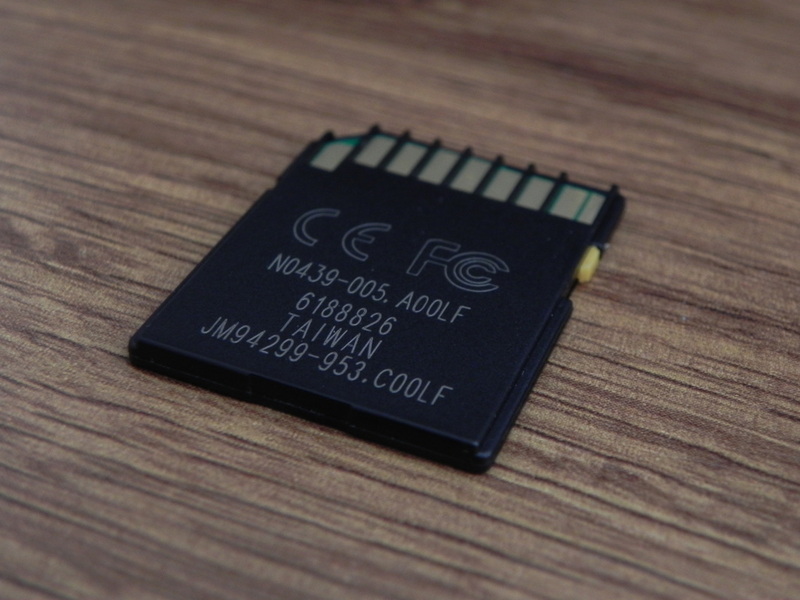 Next click "Write" to write image to SD card. It will take some time, depending on speed of your SD card. When the image is written to SD card, pop-up window will show "Write successful." 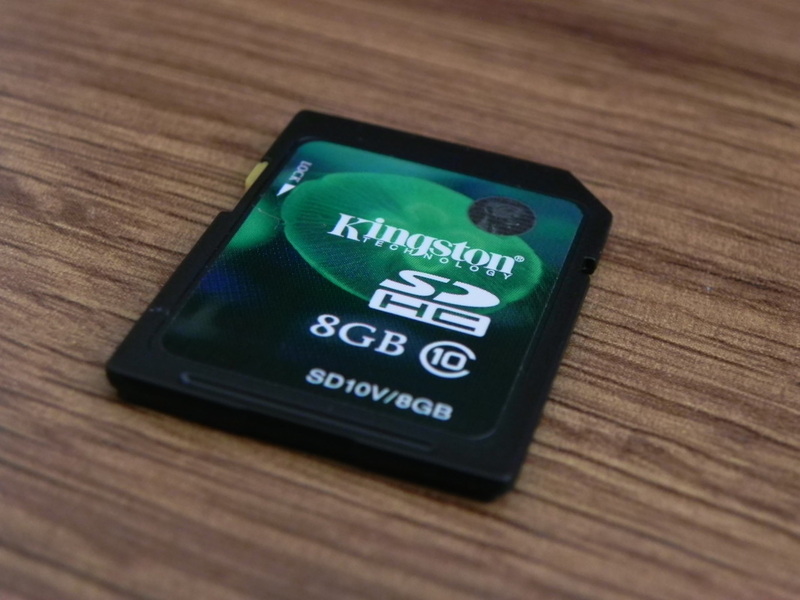 If you are going to use any other OS than Windows to write image to SD card, you can find guides for MacOSX and Linux here. After successful write to SD card, you can insert it in RPi and connect a power supply. After first boot, SSH service is enabled and address is assigned via DHCP. Default login is "pi" and password "raspberry". First set some password for root user with "sudo passwd", and login with "su". 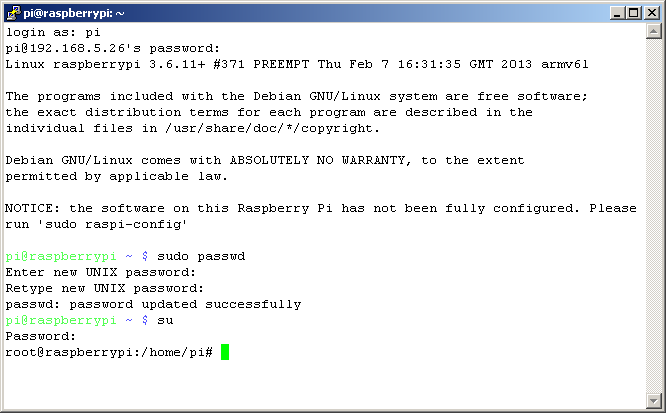 Look at the notice about raspi-config. It`s simple script to set some preferences of RPi. 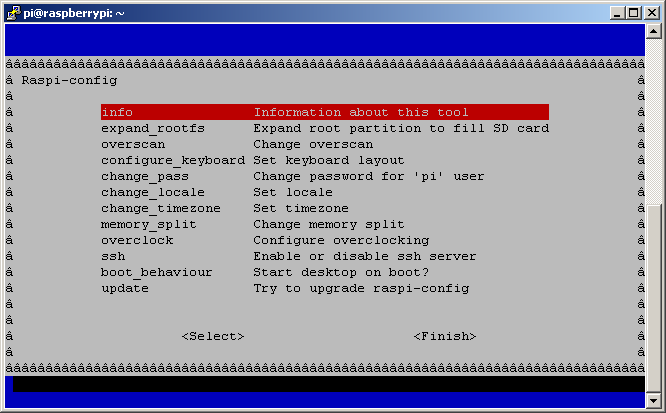 Run it with command "raspi-config" and set everything like you want. Every option is well documented at official RPi site here. When everything is set up, use "tab" to skip to <Finish> and press "Enter". If it will ask for reboot, select <Yes>. ...or this Kingston is also quite good. 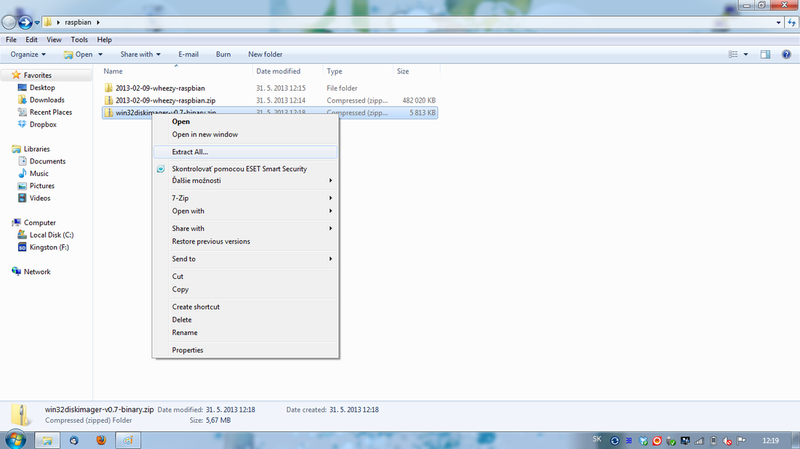 The same way how you write image from file to device, you can read device and backup it to a file. 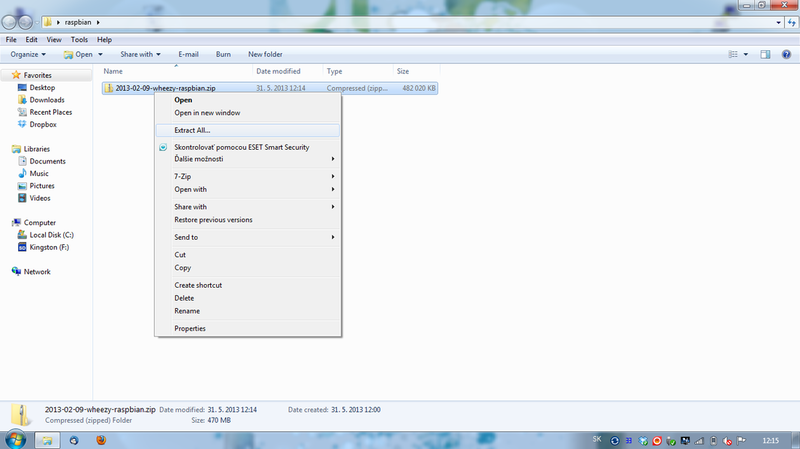 Again open Win32 Disk Imager select empty file (for example empty .txt file), select right device and click "Read". That`s all.